Hello ! Here is a little video to work Donna Lee ! Hey, nice — any chance you could post these to Soundslice? It accepts GP files and you can sync it with YouTube videos (and it's free). Makes it easier to learn and practice. yes that would be amazing... love your stuff Daniel! hey thanks ! I'll check for soundslice it looks great ! Hey Finally I understood how to use soundslice haha ! really greeaattt tool !! 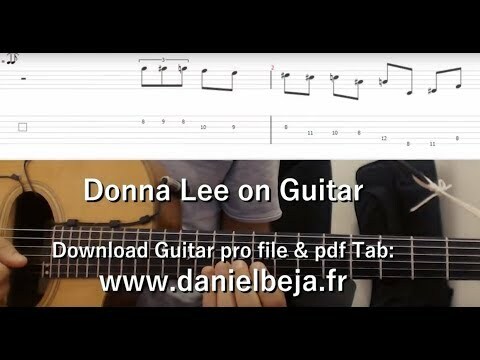 here is my channel with some stuff (fill in guitar & donna lee) .. more are coming !